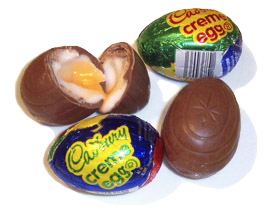 If you look forward to this time of year because you will see the annual reappearance of the creation that is a Cadbury Egg - then you may also be looking for something to pair with this treat. If you are not familiar with this Easter classic, it is a thick milk chocolate shell, filled with a white and yellow fondant-like substance which is supposed to mimic the white and yolk of a real egg. 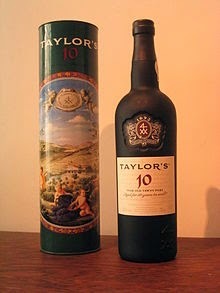 The two types of sweet - the chocolate and the filling provide a bit of a challenge for pairing - but try a good Tawny Port like a 10 year old Taylors... Enjoy!